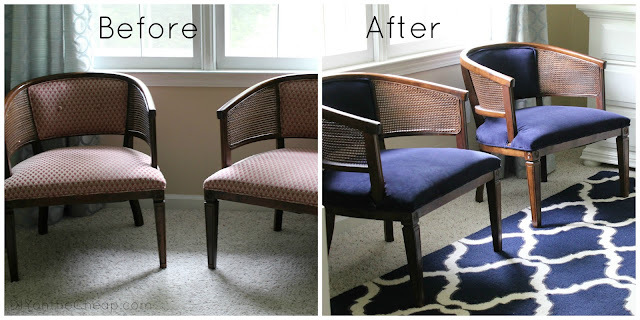 The master bedroom makeover is still coming along, and today I am so excited to show you my reupholstered chairs! I’m going to post a full tutorial soon, but I just couldn’t wait to give you a little sneak peek and share before and after photos of these chairs. 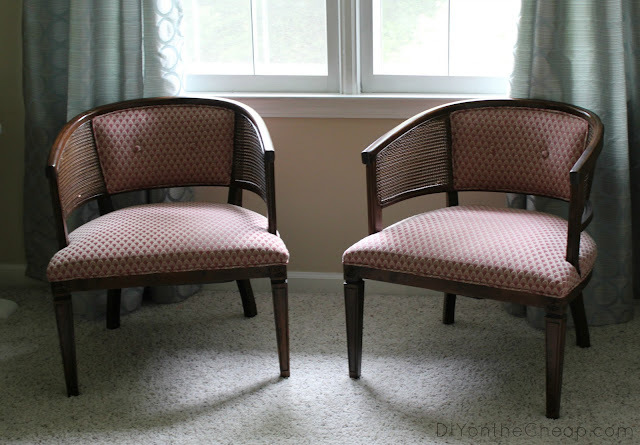 I’ve been searching Craigslist for a while now for “the perfect” pair of chairs for the sitting area in our bedroom. I was thinking I’d have to settle for something I didn’t truly love, since I knew the odds of finding a pair of matching cane barrel chairs were slim to none. I found one a couple weeks ago (just one, and would have had to cross my fingers that another one would come along) but I passed on it when I found out the cane was damaged in some spots. Then, as fate would have it, I saw a listing for the chairs I had been envisioning all along. A pair of cane barrel chairs in perfect condition at a steal of a price. I wasn’t in love with the mauve upholstery, but that could (and would) be changed. The lady I bought them from was moving and getting rid of several pieces of furniture. Turned out these chairs belonged to her grandmother and were hardly ever used. She said she would have held onto them if it didn’t cost a fortune to have them reupholstered. I told her I was going to try to attempt to do it myself. And attempt, I did. Previously, I had very little reupholstering experience. I have never done anything beyond stapling some new fabric on top of a chair seat. This project required a lot more work. A lot. It was extremely frustrating at times. It’s not perfect, but it’ll do. I’m so glad I did it, and hopefully my upcoming tutorial will help you if you choose to do this since you can skip the trial and error process I used! 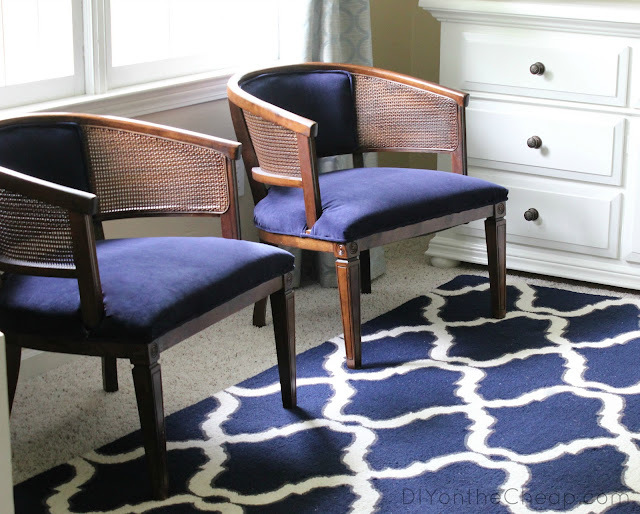 I reupholstered these chairs in a navy velvet curtain I found at Target. Yes, a curtain! So I reupholstered both chairs for $30.00 total. I had planned on navy velvet all along (despite an eye roll from my husband), so when I found the curtain at Target I was ecstatic. Especially since it had a built-in blackout lining, making it thick, durable and perfect for upholstery. Are you ready for the “After”? I still plan on making throw pillows for the chairs, but I am so relieved to have this project done! Lots more photos (plus a tutorial) coming soon! Oh, and my husband stopped rolling his eyes about the navy velvet and once he saw it, he actually liked it! One of these days he’ll learn to just trust me. 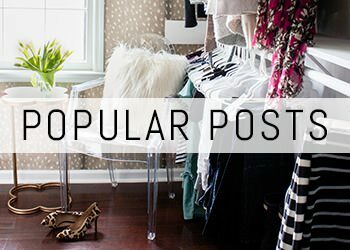 If you’re new here, please consider subscribing via RSS or by email. 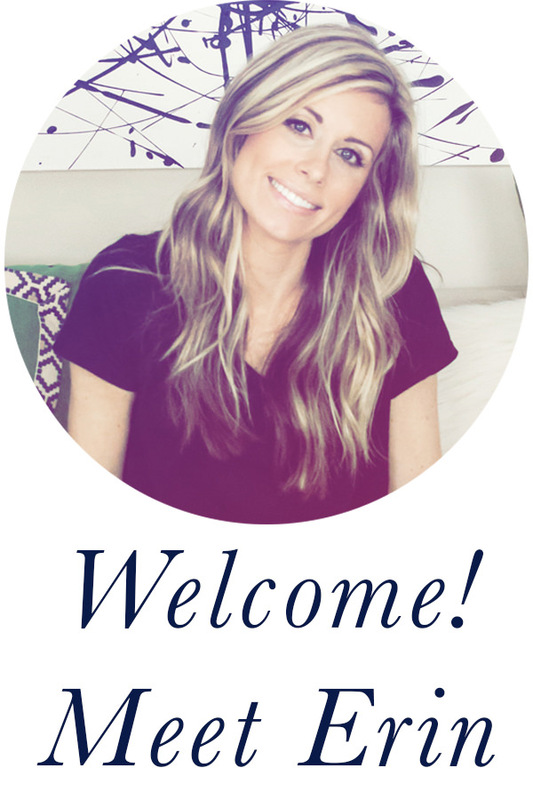 You can also connect with me on Facebook, Twitter, Pinterest, Hometalk, Instagram and Google+. Thanks for visiting! They came out great! The blue works well with the frame color. Looking forward to the tutorial since I need to do the same. I’ve had a chair for a few years I still need to reupholster. I have a recliner I’d like to reupholster, but honestly it’ll take a LOT of fabric and I think I’ll just throw a blanket over it instead. Ha! I don’t blame you for opting for a blanket instead. 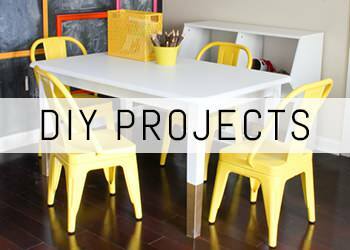 Glad your boyfriend doesn’t roll his eyes, but that’s funny that he assigns you projects! Great job reupholstering the chairs!!! Aww you did such a great job! They look lovely and classy. My husband rolls his eyes at almost every DIY project I suggest, and usually throws a snarky comment in there to help get his point across. 😉 And the projects never go as smoothly as I think they should. It’s a miracle I’m not bald yet, with all the hair-tearing-out that they cause. I reupholstered two chairs and they were by far the most frustrating project I’ve done, including the kitchen remodel that we’re currently in the middle of! Great job on your chairs–the frustration was worth it! Thank you! And too funny about your husband’s snarky comments! They look great!! Can’t wait to see the finished room!! I have two similar chairs from my grandmother that are just waiting for me to get up the nerve to try this myself! Even have the fabric sitting under my bed. Hopefully your tutorial will be just the inspiration I need to go ahead and tackle it. Your’s turned out great! Thank you! You can do it! Can’t wait to see yours when you finish. Erin! I have two chairs that are very similar to yours that I am going to put in my master too. They’ve been waiting for an updated upholstery job. Yours turned out awesome. I really like the blue, and I love that you took fabric from a curtain and $30? Who can beat that! What a great addition to your room! Thanks so much Angie! Can’t wait to see yours! I have a whole new appreciation for people who reupholster regularly. They look great! I love the blue velvet! And, yes, my hubby seems to spend a lot of time rolling his eyes. I ignore it and soldier on. Eventually he comes around! Nice, Erin!! Great idea to use a curtain! I’m anxious for your tutorial as this is something I’ve wanted to tackle, too. Thanks Heidi! 🙂 Have a great week. The chairs look great! I love navy blue anything. 🙂 My hubby has long since learned to keep his eye rolling to himself. Wife knows best! He’s a slow learner, but I think he’s got it now. Thanks Laurie! One of these days my hubby will learn too!